Born in May 17, 1942 in Yamagata Prefecture, Japan. 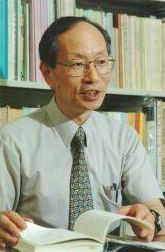 1966 Graduated from Faculty of Letters, Tokyo University. 1968 Master of Arts, Graduate course of linguistics, Tokyo University.